Welcome to 2015 and another busy legislative session . . . as well as some unseasonably warm weather! WOHVA is active screening new bills and offering testimony as well as promoting language and entire bills that will further OHV recreation and protect our NOVA funds. 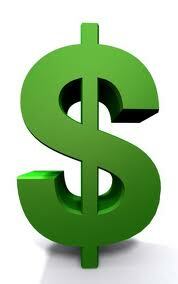 Please let us know if YOU see bills or issues where we need to make a difference. Granite Falls MX Track Needs Your Support! The 2015 Washington State Legislative session started a few weeks ago and is in full swing. There are a number of OHV related bills in play so the WOHVA Political Action team is fully engaged in the process. This year WOHVA has teamed up with the Northwest Motorcycle Association (NMA) and enlisted the services of lobbyist Grant Nelson to augment our WOHVA volunteer activists. His daily presence in Olympia will improve our eyes and ears on the ground. At our request, Senator Barbara Bailey sponsored Senate Bill SB5627. This bill would clarify the Discover Pass language as it relates to vehicles that are dual registered with both a street plate and an ORV permit. As the law currently stands if you have an ORV permit and ORV use is legal where you are at, you do not need a Discover Pass. Unfortunately the DNR is incorrectly enforcing the law and requiring a Discover Pass on every vehicle with a street plate regardless of whether or not they have an ORV permit too. SB5627 would make the law abundantly clear and hopefully resolve this issue for good. House Bill HB1392 and Senate Bill SB5320 are a pair of bills that would remove the three percent cap on the administrative expenses that the Recreation and Conservation Office (RCO) can take out of your Nonhighway and Offroad Vehicle Activities (NOVA) account and let them keep whatever they need to cover whatever the spend. The lack of accountability would put the NOVA fund at risk of being used as a source of free money for the RCO. Senate Bill SB5205 would allow spouses to pool their volunteer hours for the purpose of earning a free Discover Pass. This bill is very similar to another bill we supported last year that nearly passed. We are working hard to get this one passed this year. House Bill HB1826 would allow a Discover Pass to be used on two different vehicles at the same time and while at the same location. House Bill HB1738 and Senate Bill SB5617 would remove the 23 cent a gallon cap on the gas tax allocation into the NOVA fund and increase it to match the actual gas tax rate, but would not go into effect until 2031 (yes, that is NOT a typo). House Bill HB1160 would raise the penalty for dumping less than one cubic foot of litter from $50 to $200. While on its own it won't stop people from littering up the trailheads, it might make people think twice after they get caught. This is also a budget year and so far none of the proposed budget bills try to misappropriate your NOVA funds like they did in 2009. That said, it is still early and things like that usually sneak in at the last minute. We will be watching this process closely. If you see any bills that strike your interest, please let your Legislators know how you feel. If you don't know who they are or how to contact them, follow this link: http://app.leg.wa.gov/DistrictFinder/. You also comment on individual bills by going to the bill’s web page a selecting the comment box: http://apps.leg.wa.gov/billinfo/. We also have a "Legislation of Interest to OHVers" web page here: https://wohva.wildapricot.org/Legislation_of_Interest_to_OHVers. This page is updated as soon as we become aware of additional legislation of interest to OHVers. On the top of this page are instructions on how you can receive updates to each bill as soon as something happens on that bill – using an RSS Feed. A big part of our success during any legislative session depends on how well OHV enthusiasts step up and make their voices heard. So you thought the "approved" Snohomish County MX track was approved? Maybe not . . . there’s a hearing scheduled for Wednesday, Feb. 11th at 9:45 AM in Everett at the Robert Drewell Bldg, 3000 Rockefeller Ave, Everett WA where the previously approved MXGP track is being APPEALED and they need your attendance to show support. Further details on the WOHVA Facebook page. 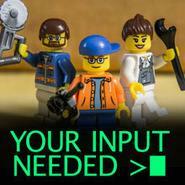 Nature Conservancy Wants Your Input! WOHVA leadership had the opportunity to sit down with our new landowners in Cle Elum and Naches regarding their recent land purchase. They're very interested in hearing about recreational needs and getting input on managing their land. Remember, this is a private landowner considering input from all on how their lands should be managed. They purchased a large parcel adjacent to the new Teanaway Community Forest as well as many checkerboard plots on the south side of I-90 in Naches and Teanaway. Please let them know what you'd like to see by responding to their http://www.washingtonnature.org/forestsforourfuture/info. We applaud their reaching out to gather input and become informed. The next time you purchase a Discover Pass, it will have a new look. And will be printed on more durable paper! 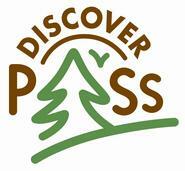 The Discover Pass Coordination Team recently announced the introduction of the newly redesigned annual Discover Pass. It will be printed in full color on a durable synthetic paper and will start appearing in the field in early 2015. 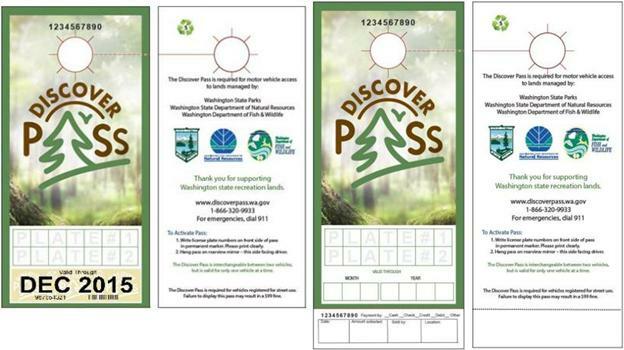 LESS CONFUSING – A green nature scene quickly distinguishes it from the yellow hangtags that will be reserved for use with the WDFW Vehicle Access Pass. MORE DURABLE – The synthetic paper is tear-resistant and will not curl or fade over the course of the year. It is recyclable as #5 plastic. BETTER VALUE – It is less expensive to produce than the passes currently printed on Tyvek. The new pass has a fresh look and feel we think customers will appreciate. The pass will be issued in January starting with orders made through the Department of Licensing (DOL) and State Parks online sales websites. Retail outlets are expected to start selling the new pass in February. Similar to passes sold through DOL and State Parks online sales websites, these passes will be printed with the words "Not Valid" and will be activated only when the words are covered with a special label showing the expiration date in month and year. At dealers, these will be printed at point-of-sale and applied to the placard by the seller. Passes sold in booklets at state parks and retail booklet dealers will be shipped in January. These passes require the seller to hand-write the expiration month and year on the pass. A variant of the pass called the "Annual Pass" will be issued to tribal members in February. The version sold through State Parks' Parkeon autopay machines will continue to be sold, but with a new green hangtag. The new designs are shown on below. All designs are shown not to scale; actual size is 4” x 8.5”, the same as current pass with hanger. Please note the expiration format will go from mm/dd/yyyy to Month/Year and passes will be valid until the end of the month and year displayed. WOHVA IS YOU – VOLUNTEERS NEEDED – See something here that interests you? Did we strike a resonant chord? WOHVA is a 100% volunteer-led effort. Your efforts make a big difference. Please send an e-mail to info@wohva.org to let us know how you'd like to help.